One of the lovely things about blogging is discovering like-minded people from across the world who love what you love and, not only this, generously share their inspiring ideas with others. 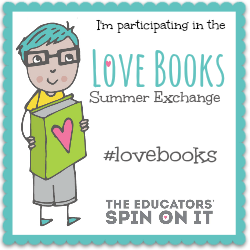 We were therefore really excited to join a fun international book and activity swap hosted by The Educator's Spin On It with over 60 other bloggers this summer. 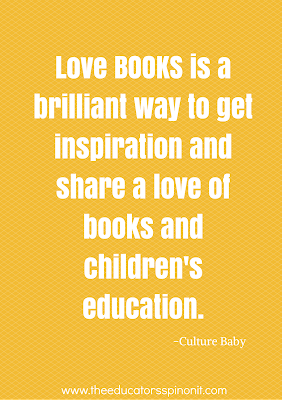 Each participant was given the details of a blogger's child, and was asked to choose a book they personally love, design an age-appropriate activity to bring the story alive, and pop them in the post. Culturebaby loved packaging up our activities for her 16 month old little pen pal and drawing a card for him, and was even more delighted when she herself received a book and perfectly pitched little parcel to explore. Toddlers adore practical life activities. Given that the only time I recall being content with a broom was during a schooldays performance of Fiddler on the Roof , I never fail to be amused by Culturebaby's unbridled enthusiasm when wielding a dustpan. Sometimes I'm convinced she makes a mess just to help clear it up again. When we first attended an art class over a year ago, Culturebaby spent the majority of the first couple of sessions with her hands in the washing up bowl. Of course, as proponents of the Montessori method explain, toddlers love to help around the house, they love to feel useful, thrive on order and don't necessarily see 'work' as any different to play. Giving them child-sized equipment, showing them the techniques and purpose of cleaning and giving them the means to carry out practical activities themselves gives them a great sense of satisfaction and independence. Menai's book and activity was perfect. We received a clever little board book called Ten Dirty Pigs, Ten Clean Pigs. This 'upside-down, turn-around' title is an ingenious rhyming counting book which can either start with ten little piglets getting progressively less grimy as they bathe and learn to clean themselves, or with ten little clean pigs, who fail to stay shiny for long. Culturebaby was delighted to find that the book can be flipped over and over again in a perpetual cycle of muddy and bathtime play. Alongside the book, we received a package full of cleaning equipment for Culturebaby to explore. We read the book, prepared an al fresco bath in a large tub, fished out ten little pigs from our farmyard collections and she set to work cleaning, drying, lining up, and counting her porcine pals. I was amazed at how long this activity occupied my little lady and how much she concentrated on it. Such a simple idea and so successful. Thank you Menai. If you'd like to check out some of the other great ideas as part of this exchange, and perhaps you'd like to organise your own with friends, the Love Book exchange Pinterest Board is here.